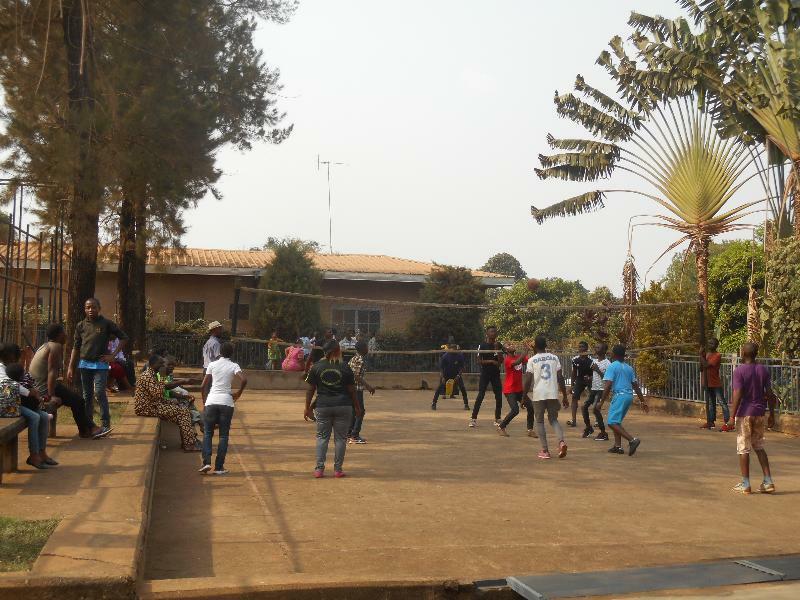 February 11, the Youth Day celebrated in Cameroon and World Day of the Sick, has become the traditional date for the first meeting of families in the year. We started with the projection of a film based on real events that recounts the experience of a person who, after a terrible accident, finds himself in Paradise. 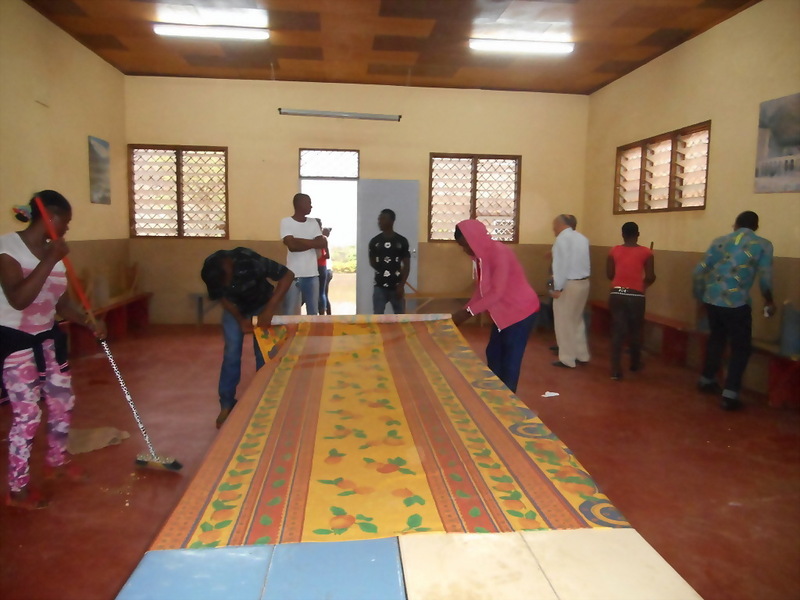 Then, parents on one side and young people on their side, were able to share their impressions. The day ended with the Eucharistic Celebration. The day allows us to speak with each other, to know the new couples who have received the sacrament of marriage and to put them in contact with each other. 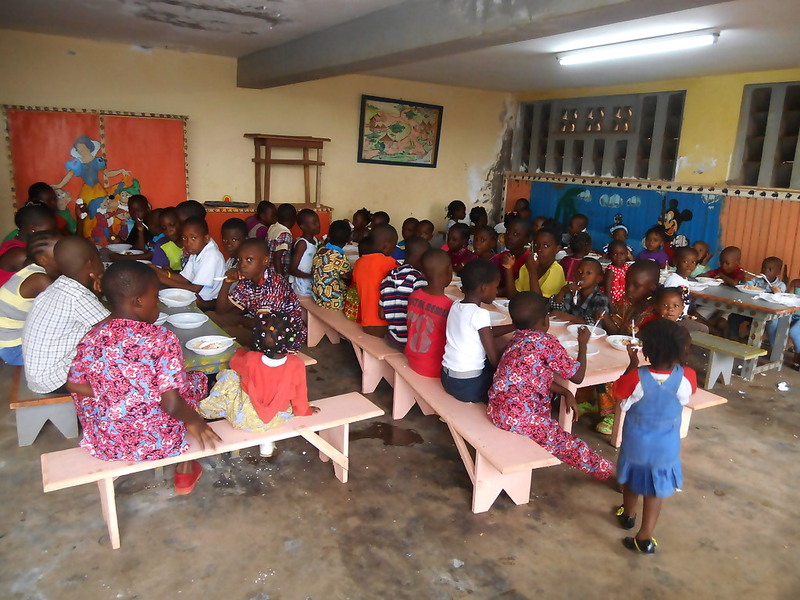 They are very grateful for this activity that we offer three times a year. 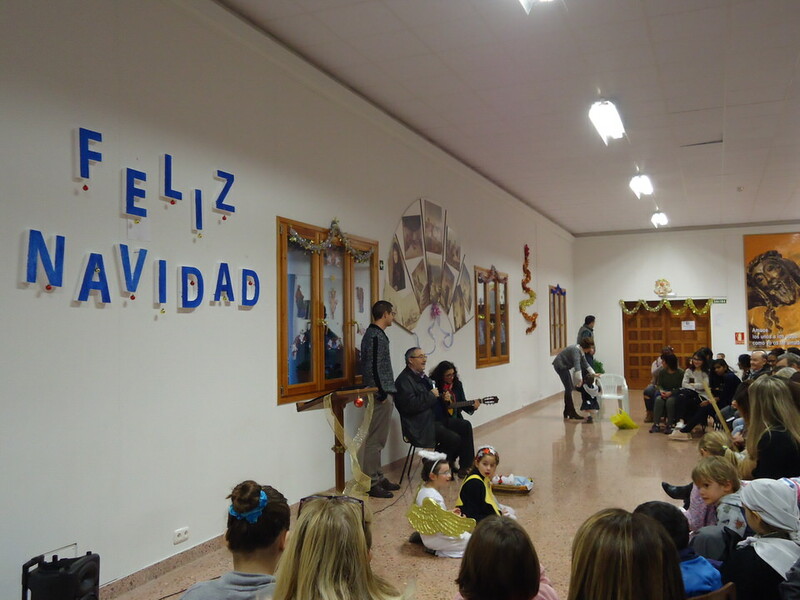 On Sunday, December 16, for another year, in the Diocesan Center of Xavier, the Idente missionaries and the Idente Youth of Javier and Pamplona celebrated the Christmas Athenaeum as a prelude to these festivities, assisted by around 100 people. 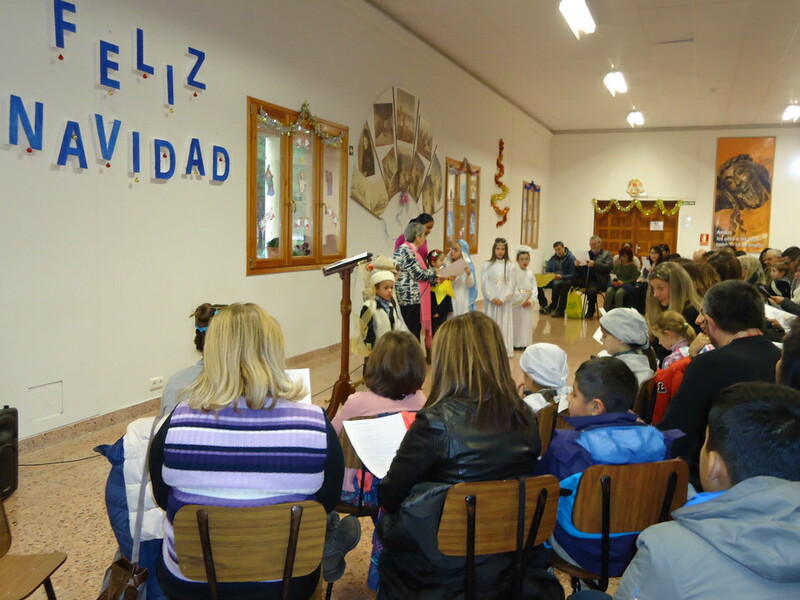 This Christmas Athenaeum, around the Birth of the Child Jesus, has become, year after year, an authentic meeting of families, friends of the Idente missionaries of Pamplona, ​​Yesa, Sangüesa and Javier. 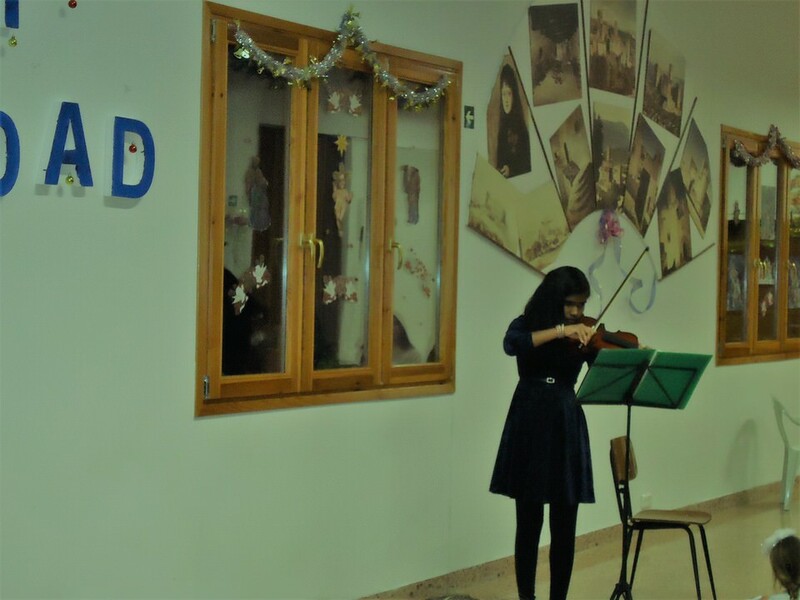 It is an encounter where friendship is renewed, while enjoying the different performances that the children prepare, led by the missionaries Identes Neema and Neethu, in order to make happy their parents and family. 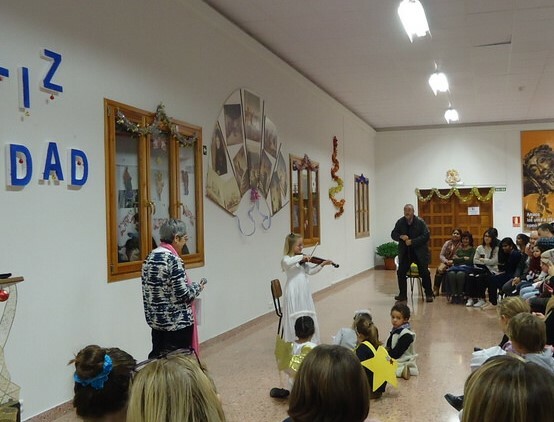 The act began with the carol song “A Bethlehem in every home” and continued with the representation of the Birth of Jesus, realized by the children of Yesa; then several carols and performances accompanied by the flute, violin and accordion were sung. 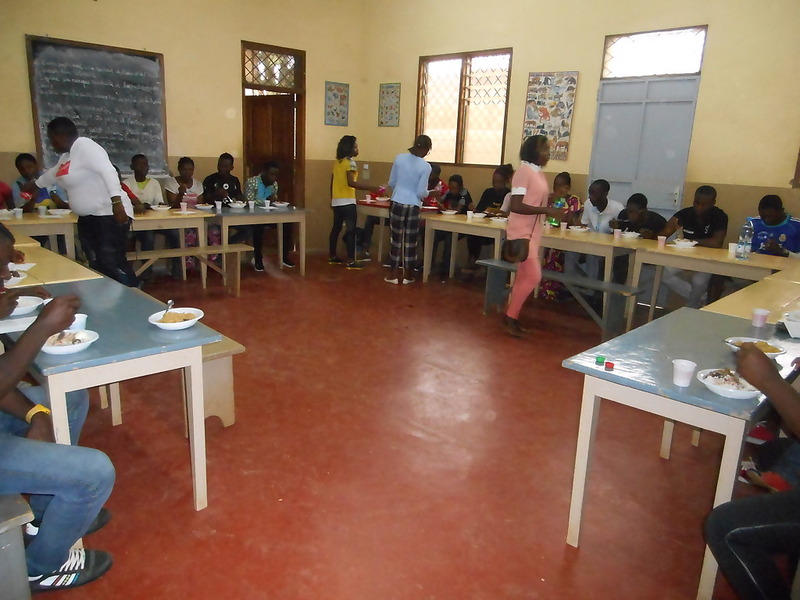 The protagonists of these activities were the children. 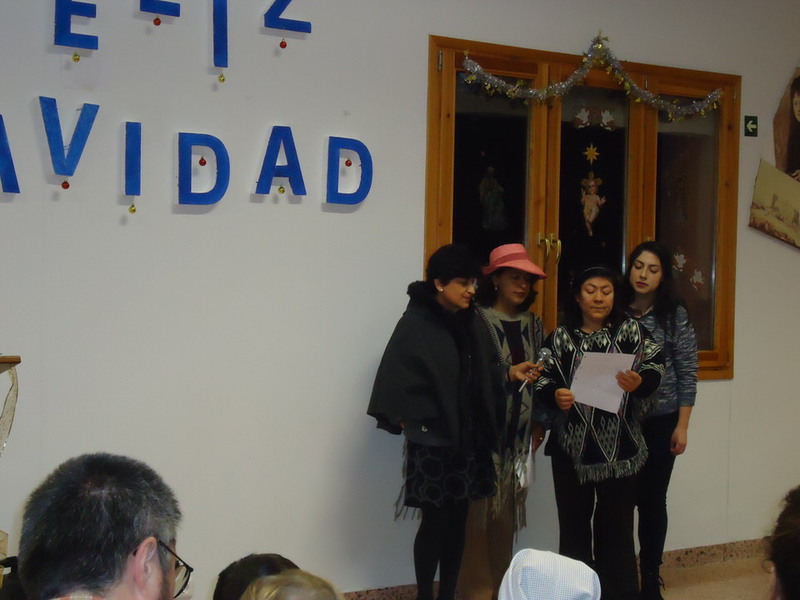 Finally, the Ecuadorian colony of Sangüesa sang Christmas carols of their country. 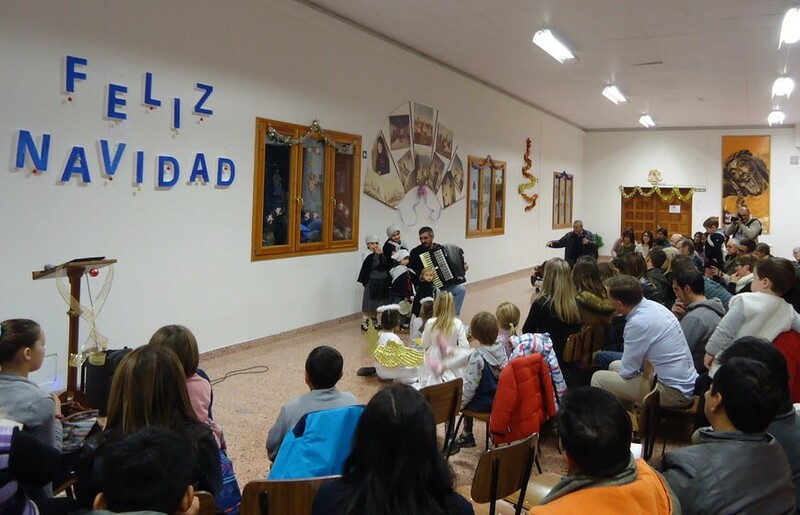 It is important to note how a friend of the missionaries Identes, Hipólito Rico, who was not well, made every effort to assist and accompany his grandchildren in the carol which he had rehearsed, so that they could offer chocolate to the Child Jesus. The athenaeum ended with an agape and it was the opportunity to talk among all and renew the friendship that is emerging between all the friends of the Idente community. 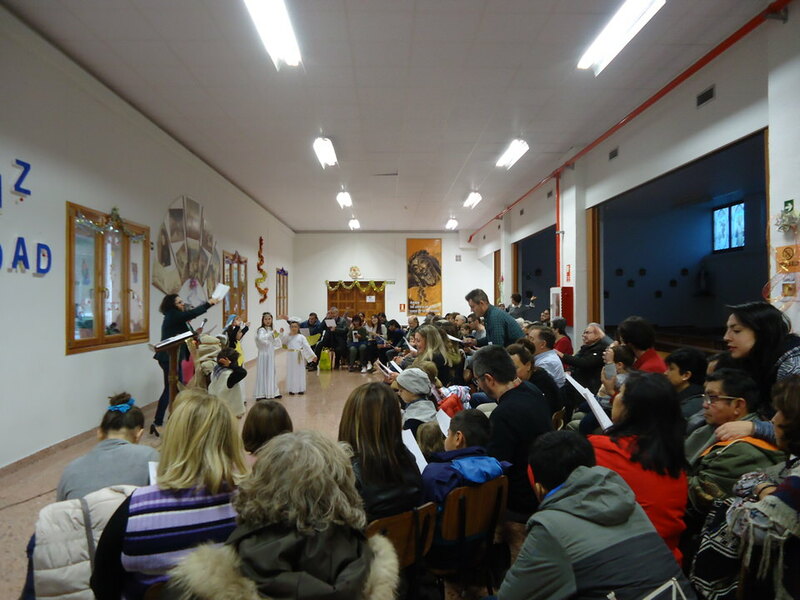 The atmosphere of this Christmas afternoon was of great joy and intimacy and was characterized by the simplicity and innocence of the children. 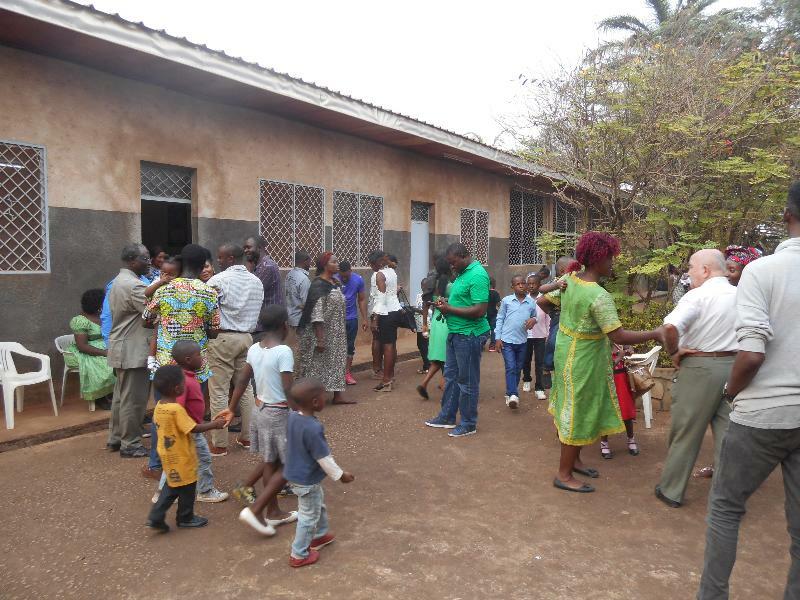 While saying goodbye, the people expressed their gratitude for the afternoon so pleasant which they had spent. 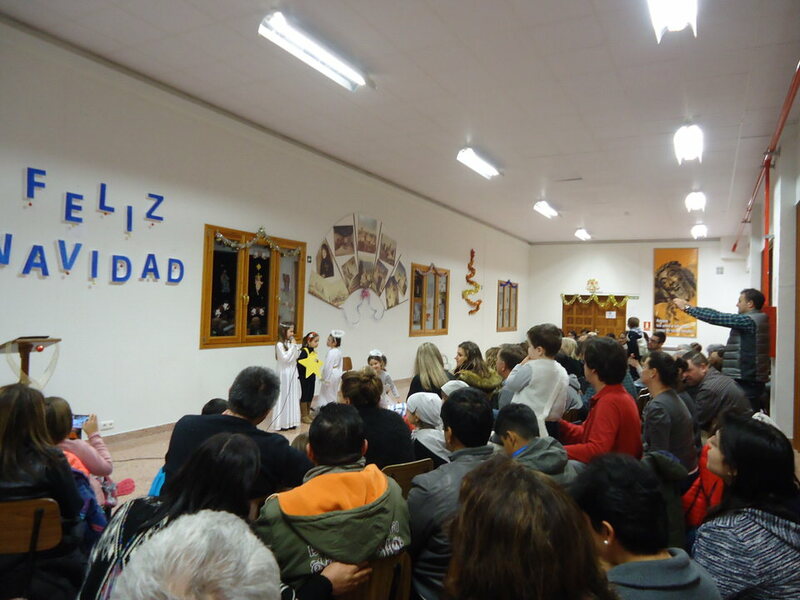 Every fourth morning the realization of a Motus Christi in the Convent of San Antonio and San Julián in La Cabrera, in Madrid, has become a tradition. 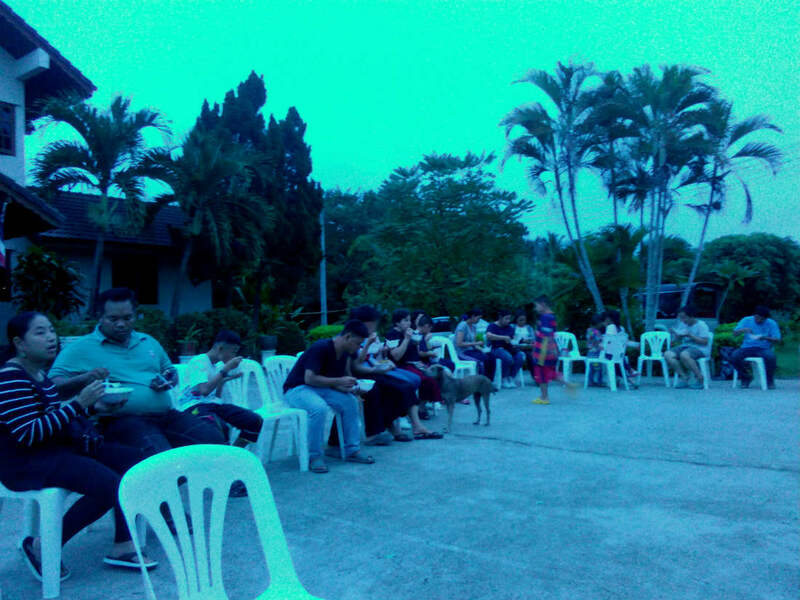 The retreat congregates young couples who enjoy a Sunday around Christ. Each course has a training program for the course 2017 – 2018, which has been around the virtues. 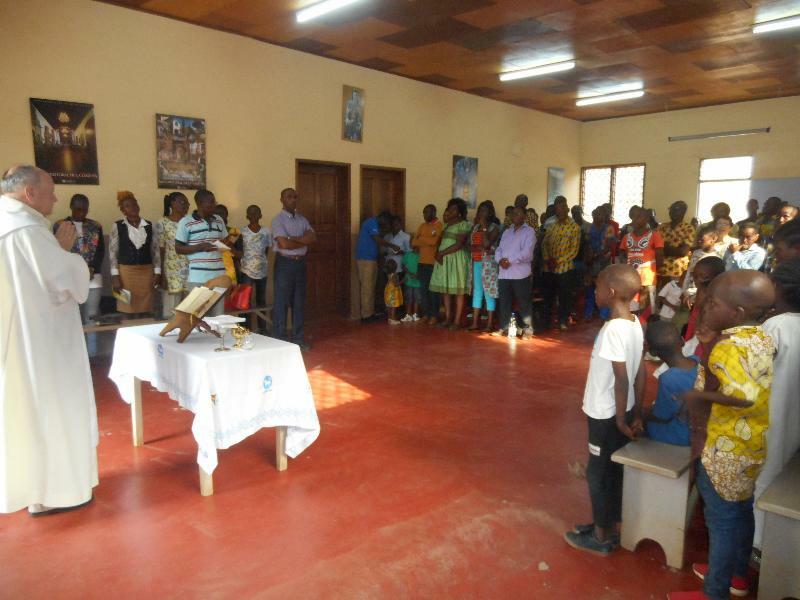 On Sunday, April 22, the Motus Christi of the 4th Sunday, as it is called, was attended by 38 people, some of whom were young families with their children, who also had their places to pray and reflect. Saint John Paul II in a general audience of 1978 says: << The prudent man, who strives for all that is truly good, strives to measure everything, any situation and all his actions, according to the meter of moral good. >> (October 25, 1978). The memory of past experience: If a person does not know how to reflect on what has happened to him and to others, he cannot learn to live. Intelligence of the present state of things: The prudent acting is the result of an “understanding”, looking at understanding as the total responsibility, as the true love that frees from our passions, to reach the end of the human vocation: “holiness”. Discernment when confronting one fact with the other, one determination with the other. Discover in each option the disadvantages and advantages offered, in order to be able to make a good choice. Assume with humility our limitations. Resort to the advice of all those people who can give us some light. Circumspection to confront the circumstances. This would be that some action considered and taken independently can be very good and convenient; but seeing it from within a plan of life or a project of personal progress, it can become bad or inopportune. 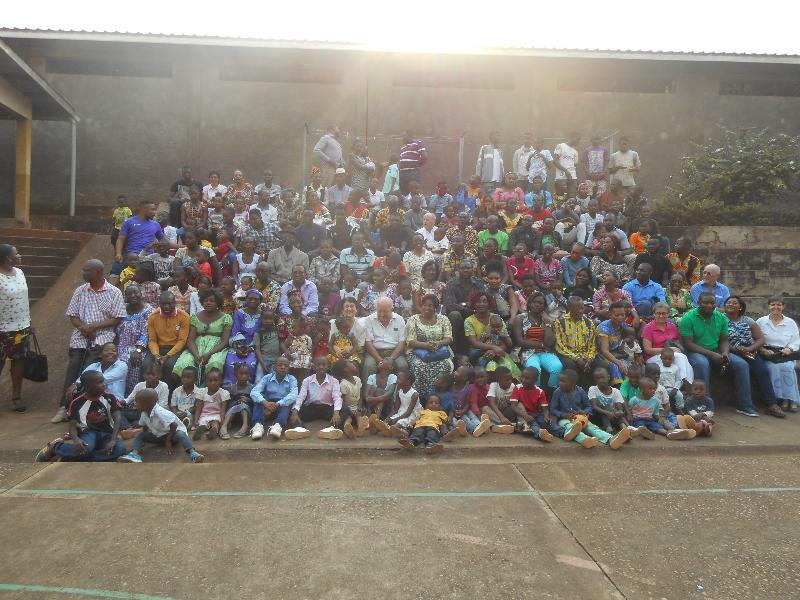 The Idente Missionaries from Cameroon have carried out the traditional “Family Day” on the occasion of Youth Day in Cameroon the 11 February. 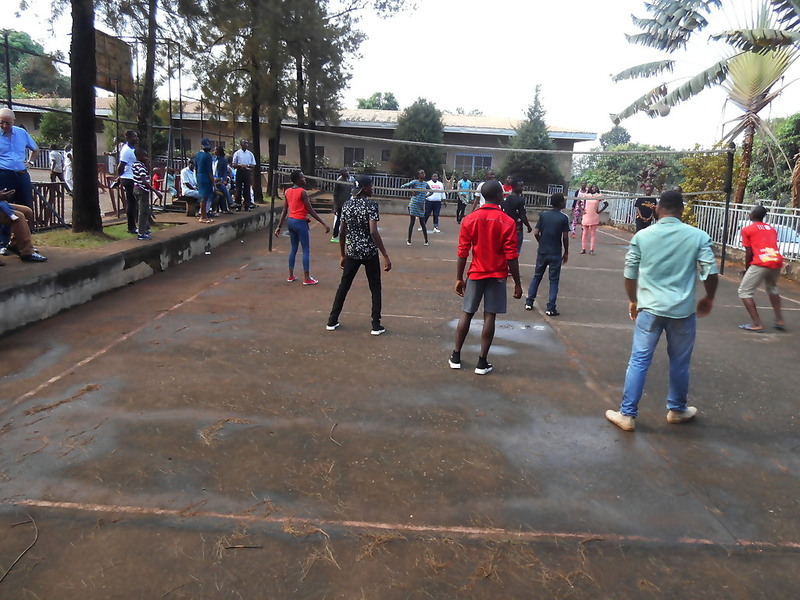 It is an activity that allows to accompany, reunite, and continue the formation of families of the Sainte Famille d’Elig-Assiga parish and the Soa university parish. 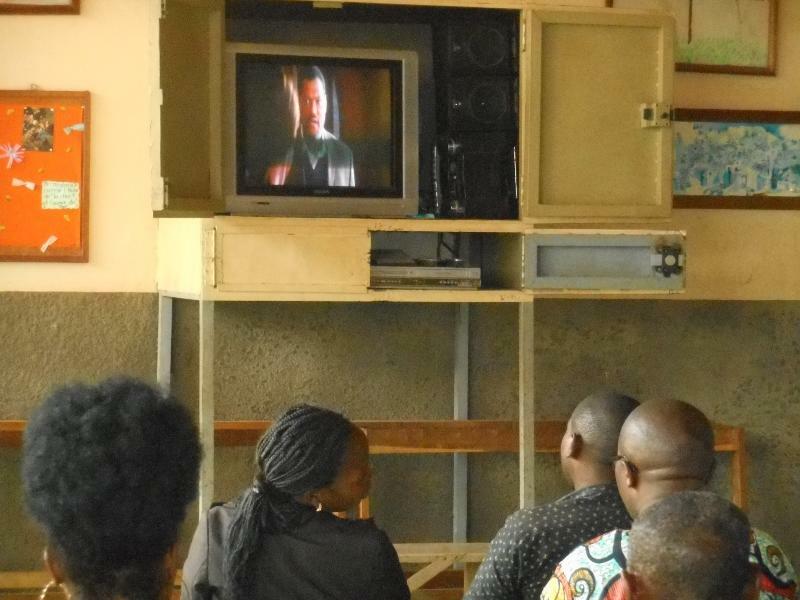 The day began with the screening of the film “La Cabaña” or “El camino del perdón”, which is based on the novel “The Shack”, which provoked an interesting dialogue in the groups of parents and young people, that were developed separately. 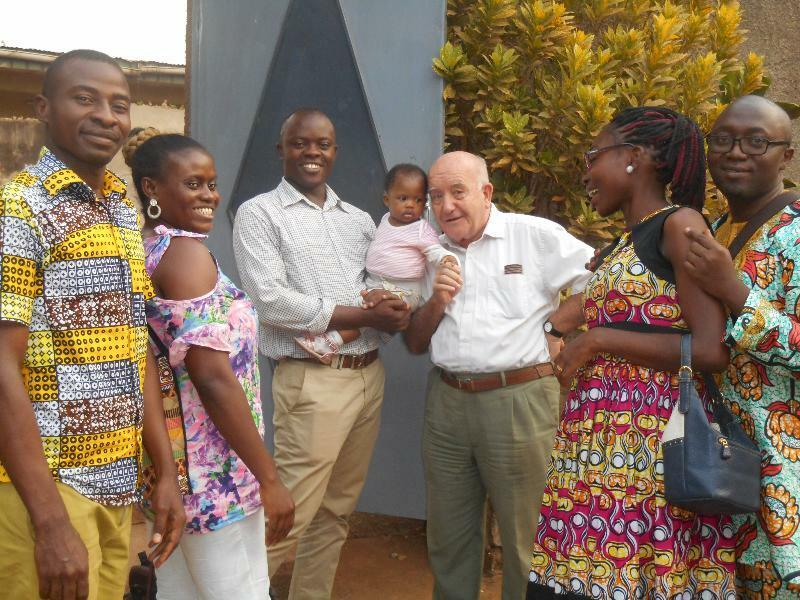 They spoke about forgiveness and trust and intimacy with the Divine Persons. This film, which deals with the problem of suffering, gives much peace, for the goodness of God the Father who is represented in an original way. They felt touched by the proximity of the Most Holy Trinity and for the consolation that they want to give us in each moment. They spoke of forgiveness and total abandonment, realizing that in every moment of their life God was present, and always will be. 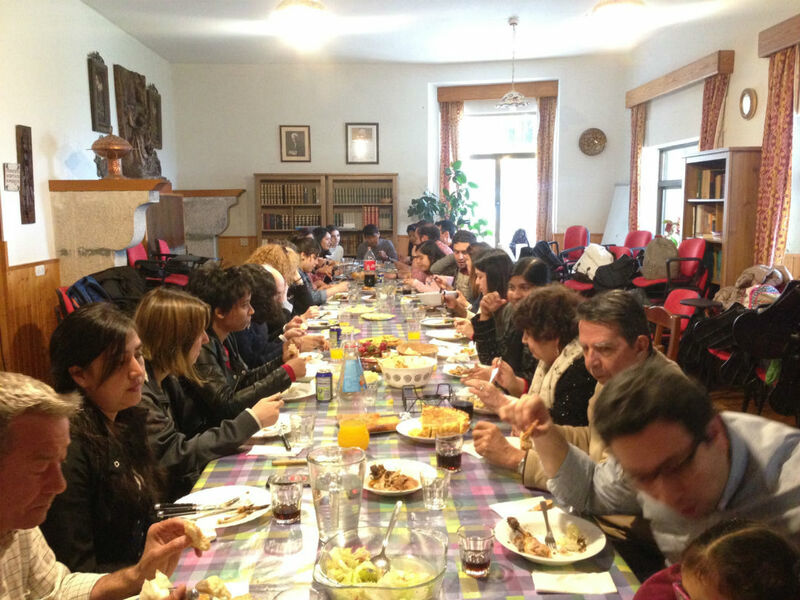 After this work in groups, the food was shared in an atmosphere of trust and closeness and the Day was closed with the celebration of the Holy Mass. One of the joys of this day is that new couples, who have married in recent months and who have been prepared to receive the sacrament of marriage, are incorporated. broke into a big applause to our brother. in the esplanade placed in front of the residence. the delight of all, creating a very familiar atmosphere. 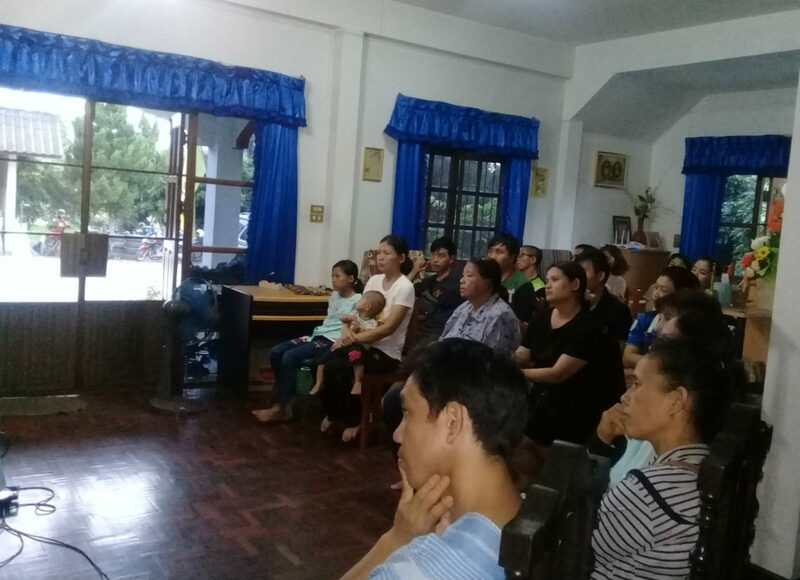 In the month of October the Idente Missionaries in the Philippines initiated a series of gatherings for mothers titled “Be a Holy Mother” with the ideal of being holy. 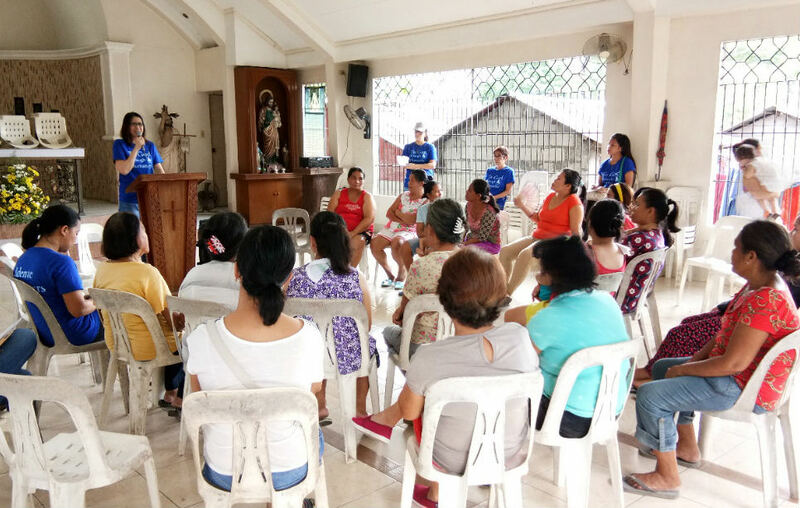 Participants of the first gatherings were the mothers of the kids who attend our weekly Volunteer Program in a slum area (Payong) of Manila. 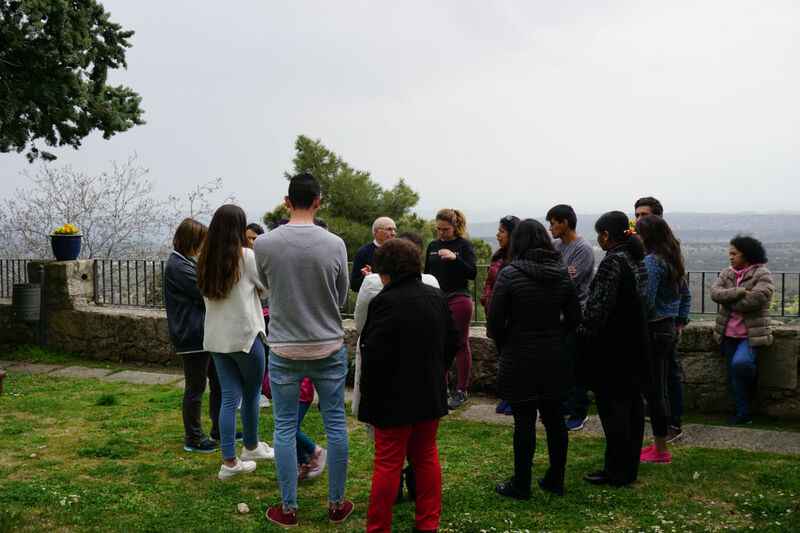 The objective of these meetings is to help them to experience a close relationship with our Heavenly Father and to grow in the living of our faith applied to the daily life through the Gospel, the Eucharist and the Prayer. This activity was made possible thanks to the teamwork of some members of the Idente Family, together with our Filipino missionaries in common life and Idente Volunteers. 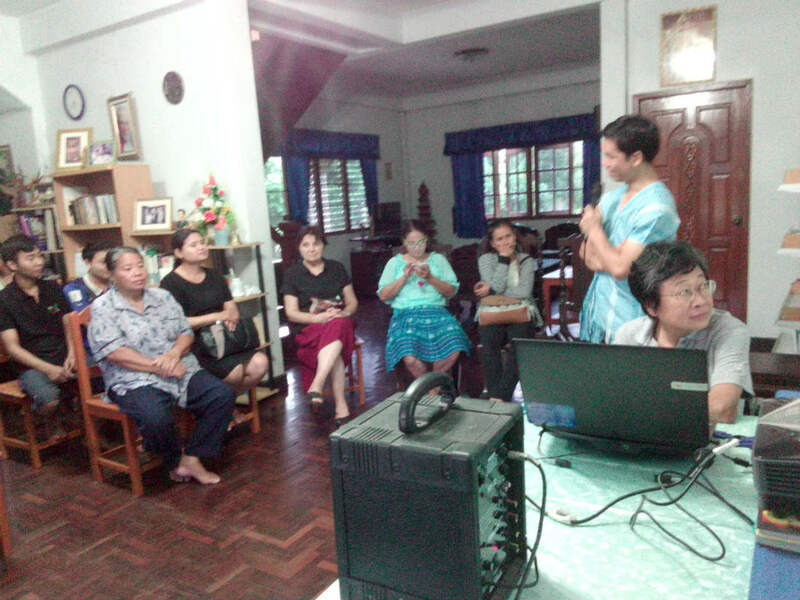 As every fourth Sunday of the month, on July 23rd Idente Family gathering took place in Sarapee (Chiang Mai – Thailand). There were around 50 people including the Idente family members and friends. 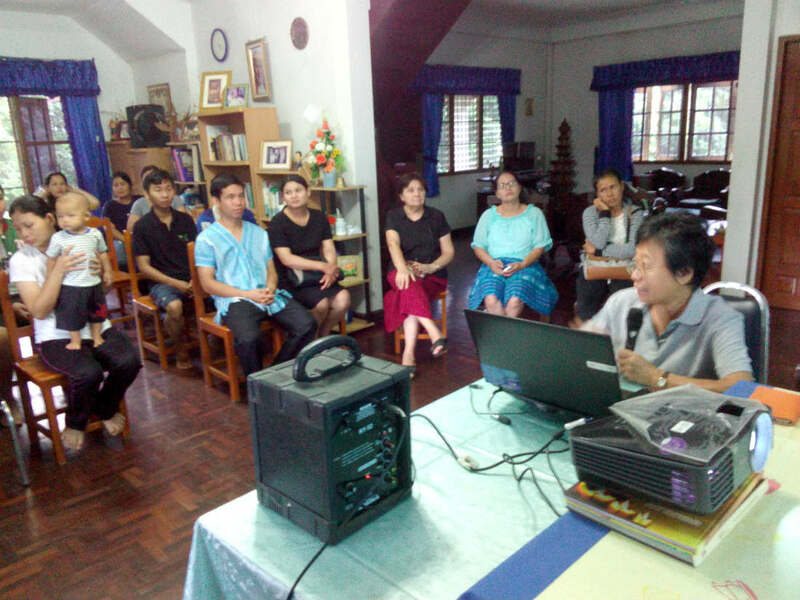 Idente missionary Yotsaya, who is native Thai gave a talk on the topic of love based on Pope Francis’s post-synodal apostolic exhortation “Amorins Laetitia”. Yotsaya carefully explained the document with the help of a power point presentation. After the talk, there was a session of discussion and sharing. Our brother Fr.Thinnakorn M.Id encouraged everyone to participate in the conversation. 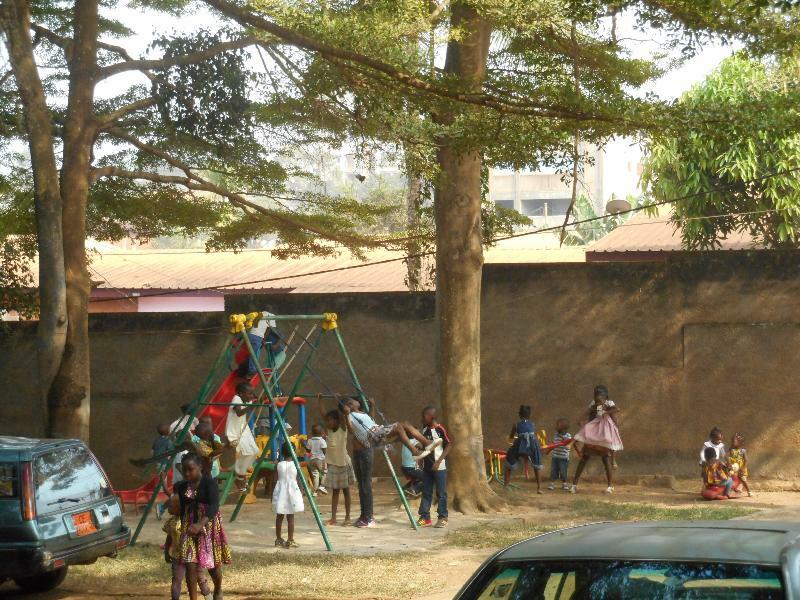 While the adults were engaged in the talk and sharing, kids out door games were prepared for their kids. 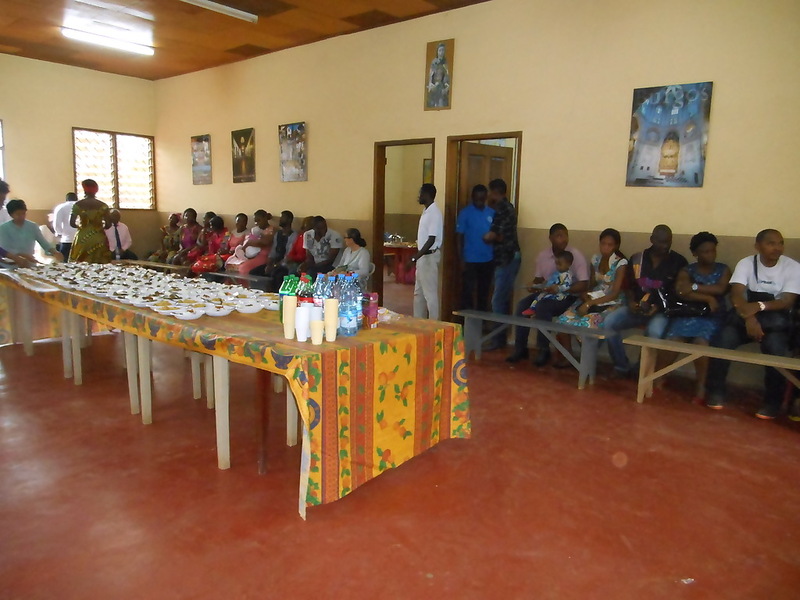 Later on all joined to share some snacks and some of them sang a karaoke, which was a delight of all. We thank God for this beautiful time of being together, sharing in harmony and friendship. Fernando Rielo’s Name day at St. Luke’s Parish, Long Island NY. Some moments from the celebration of Fernando Rielo’s Name day at St. Luke’s Parish, Long Island NY. El domingo 29 de Enero se ha realizado el primer retiro del año de la Familia Idente de Terni (Italia), con la alegría de recibir a nuevas personas que se incorporaron. En total se reunieron cerca de cuarenta personas, entre adultos, matrimonios de varias edades y sus hijos. El tema tratado fue el diálogo de Jesús con Nicodemo, impartido por Anna Pedretti, Superiora Provincial de Roma, quien se centró en la necesidad de Nicodemo de ver signos de parte de Jesús para confirmarle su divinidad, pues él ya veía algo especial en Jesús pero tenía necesidad de confirmarlo con signos. Haciendo un paralelismo, nosotros seguramente también necesitamos signos pero Cristo nos invita, como a Nicodemo, a nacer de nuevo en nuestro interior a través del diálogo de la oración. Viviendo el recogimiento el primer signo que recibiremos será la paz. En el momento de compartir las impresiones personales de cada uno en los grupos se pudo ver la riqueza interior de cada persona, varias de las cuales dieron testimonio de experiencias de su vida que pudieron resolver abrazadas a Dios. En la misa, durante la homilía, el sacerdote idente Regis desarrolló el sentido de las bienaventuranzas como medio para vivir la santidad y ser felices. Después siguió un almuerzo con lo que cada uno había aportado tras lo cual se compartieron las impresiones generales del encuentro que, en síntesis, fue la de haber vivido unos momentos de cielo y el deseo de permanecer en él.